The Men’s Nano Flex Pro Omloop Bib Shorts from Castelli feature an extended knee hem, delivering warmth to areas of the knee that most bib designs neglect. The extended hem is tapered around the backside of the knee to ensure there isn’t any bunching. Made from Castelli’s stretchy, fleece-based, and water repellent Nano Flex, these bibs can withstand light rain - forcing water droplets to remain on the surface where they evaporate or bounce off. In heavier rain, wetness is inevitable but cold isn’t. Thanks to Nano Flex’s insulating properties, these bibs will retain warmth even in a downpour. Furnished with Castelli’s highest quality chamois, the Progetto X2 Air, these bibs provide maximum comfort in the saddle. A seamless, four-way stretch, bacteriostatic top layer conforms to the rider’s body and saddle, while facilitating airflow and preventing the build-up of saddle sore-causing bacteria. Perforated viscous padding in the sit-bone and perineal regions provides additional cushioning in sensitive areas while multi-density foam throughout the pad ensures long-lasting, comprehensive support. Water-repellant & insulating Nano Flex. Raw-cut hem without silicone/elastic for maximum comfort. Tapered hem prevents behind-knee bunching. Seamless, air flow top layer. Multi-density foam of variable thickness. Perforated viscous padding at ischial & perineal zones. Excellent thermal bibs. The right length and fit, great pad and placement of pad. Water beads in light rain or wheel spray. Pairs well with knee or leg warmers and a Grenache. This is my second pair of Omloop bib shorts. At 6'1 I enjoy the coverage provided by the longer leg. I often reach for these instead of my knickers and they never fail to do the job, particularly down to about 55 degrees. Below, that I match them with knee warmers and I'm good down to about 40-45 degrees. Great product! They work exactly as described. Great on cool, damp rides, but not as restrictive as knickers or tights. If it starts to warm up, you're still comfortable and don't get too hot. 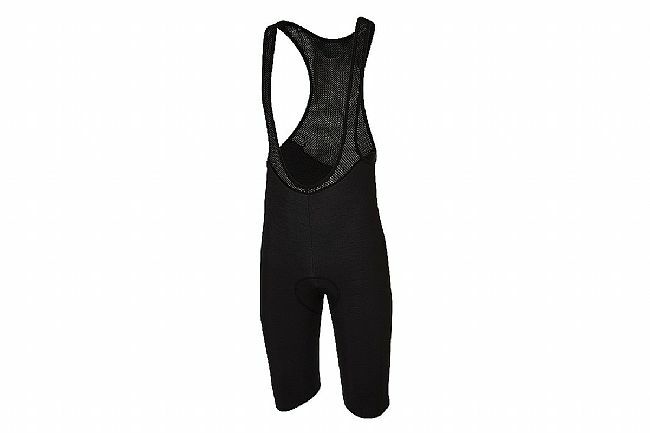 Great chamois and fit, just size up one size as they are the typical Castelli fit.